Goldfield Productions are proud to present their brand new touring production for 2018: a re-imagining of the famous tale, created by a stellar artistic team. Kaner’s ensemble features an unusual dark-hued collective of viola, cello, cor anglais, clarinet and horn, supplemented by the eerie childhood sounds of toy pianos led by the remarkable story-teller and soprano Adey Grummet. 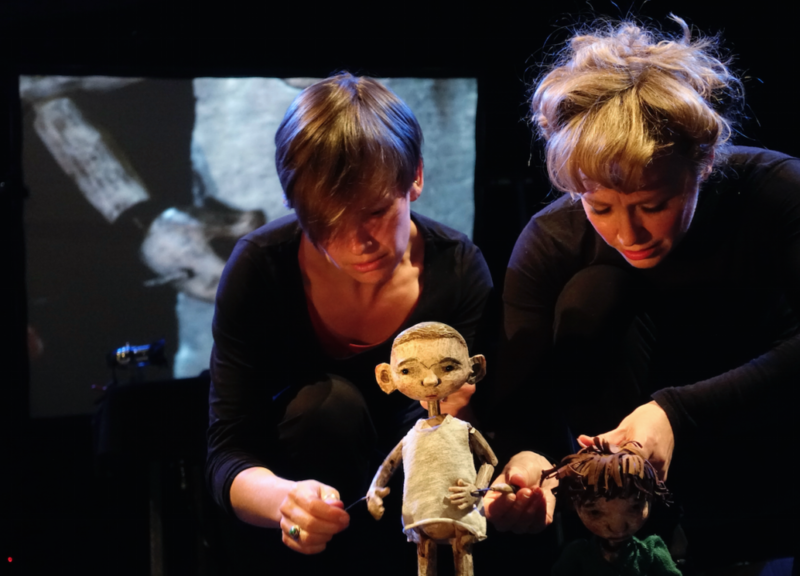 Hansel & Gretel delves deeply into the twisted themes of the original tale, creating an uneasy yet curiously familiar fairytale landscape where nothing is quite as it seems…. Hansel & Gretel outreach focusses on the themes of homelessness and the power of storytelling. Activities include story-making workshops, a pop up sister-production for our youngest audiences, large scale bespoke community events and site-specific storytelling theatre productions for young people. Goldfield Productions are grateful to the following Technical Theatre students at the Guildhall School of Music & Drama for their creative work and support during the development of Hansel & Gretel. Goldfield Productions would like to acknowledge the kind support of the Guildhall School of Music & Drama and Royal Central School of Speech & Drama in the development of Hansel & Gretel. 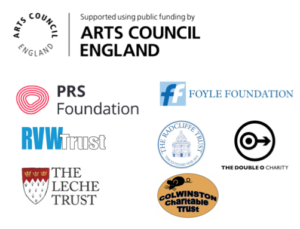 From the press and from our audiences…. Those who find Humperdinck’s 19th-century operatic version of Hansel and Gretel almost as sickly-sweet as the witch’s gingerbread house might enjoy this very 21st-century take on the fairytale, which is less tuneful but a great deal darker. Superbly spoken and very occasionally sung by Adey Grummet, the familiar text has been reimagined too. The poet Simon Armitage has turned it into a 65-minute narration peppered with virtuosic wordplay, black humour and some startlingly earthy similes. One part which I did not expect from Hansel and Gretel was the incorporation of humour. …..This was definitely unexpected, and, in response, a shaky laughter sounded from the audience! This intensive, visual performance of Hansel and Gretel, thundered with creativity, was very tightly executed and left me feeling overwhelmed and in awe of what this talented ensemble had achieved’.